The most famous Bear Market in U.S. history was the Great Depression of the 1930s. 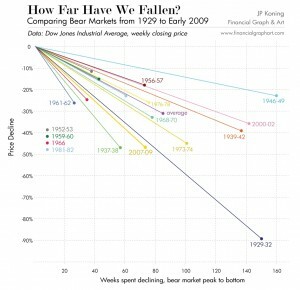 Although figures can vary, for many, a downturn of 20% or more in multiple broad market indexes, such as the Dow Jones Industrial Average (DJIA) or Standard & Poor’s 500 Index (S&P 500), over at least a two-month period, is considered an entry into a Bear Market. 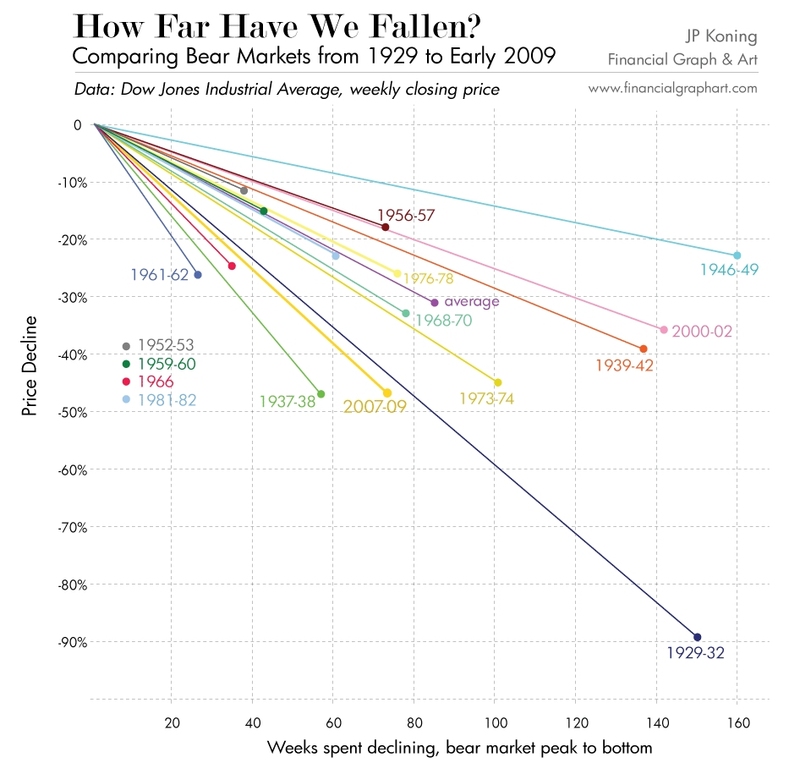 Click on Bear Markets chart to see it in full size.